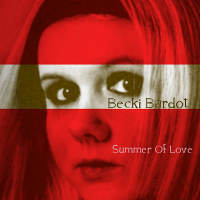 Becki Bardot 'Summer of Love' EP REVIEWS. Becki Bardot aka Rebecca Croan was originally a ballerina, BA Hons, graduate of Rambert School of Ballet and Contemporary Dance . Also Becki was the first Scottish female invited to train with the Bolshoi Academy for one year relocating to Moscow 2008- 2009. Rebecca had a period of dancing on tour with the European Ballet in 2009. Rebecca was forced to give up dancing due to a foot injury and has spent the last year training as a sound engineer at Alex Tronic Recording Studios in Edinburgh. 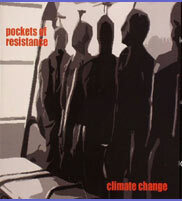 Rebecca trained under the tutelage of her father Scottish music producer and record label owner Paul Croan. 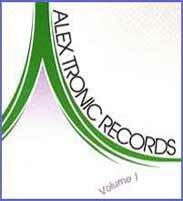 Alex Tronic Records currently has a roster of more than 20 artists on the label predominately Scottish artist but also with artists as far a field as Canada. Becki says, “I went out to Ibiza this summer with my dad as he was meeting some top class DJ’s such as Matthias Seibert (Bora Bora & Es Paradis ) and Heath Holmes of DJ Magazine. Becki says ` I was blown away by the club scene there. I’ve always been interested in dance music and thought I could use the musicality of my previous training in this field to forge a new career`. Becki was given `down time `in the studio to learn all about the equipment and what makes a good dance tune. 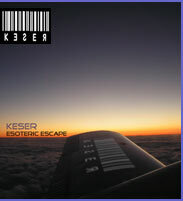 `I’m very happy with the results of my first EP which is to be released on CD and download on Feb18tth.via all good providers iTtunes Amazon etc . 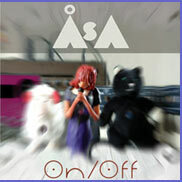 The cd will follow on Alex Tronic for the summer season distributed worldwide by Arabesque.